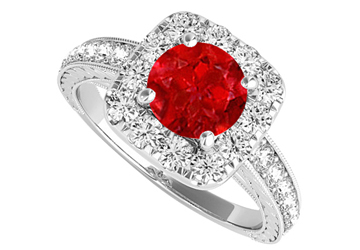 Ruby with its crimson hue attracts all. Lavishly embellished with CZs all around is a perfect way of impressing her. Crafted in 925 sterling silver and highly treated with rhodium.1.50 CT TGW.